Renqian Yang: Urban Microcosmos installation view. Photograph by Wan Xiao ©Renqian Yang, courtesy Fou Gallery. Shanghai - Shipyard 1862, rebuilt from the 150-year-old Xiangsheng Shipyard, is reopened. Founded in 1862 in Shanghai, Xiangsheng Shipyard stands on the banks of the Huangpu River and has witnessed change in the city for a century and a half. Under the design of Kengo Kuma, the building will bring cultural and artistic atmosphere to the Lujiazui Financial District. On the third floor of the Shipyard 1862 building, four galleries from New York, Beijing and Shanghai (ShanghART Gallery, Boers-Li Gallery, Fou Gallery, Tong Gallery+projects) will present a unique “Shanghai Story.” Each exhibition is independently curated by the gallery, and artists from different cities in different eras will tell the evolving story of the city. 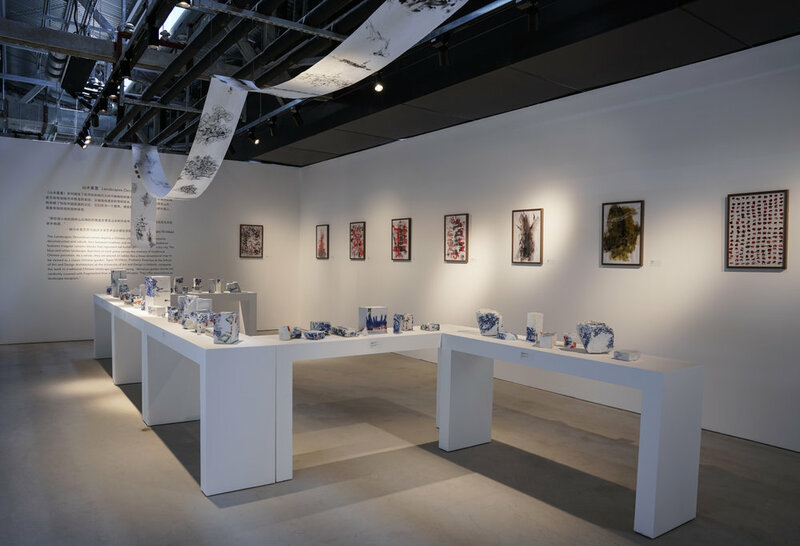 Fou Gallery is pleased to present Renqian Yang’s solo exhibition Urban Microcosmos, including her recent ceramic installation, sculptures created in Jingdezhen, and early abstract works on paper. Yang finds inspiration in negligible fragments of urban life. 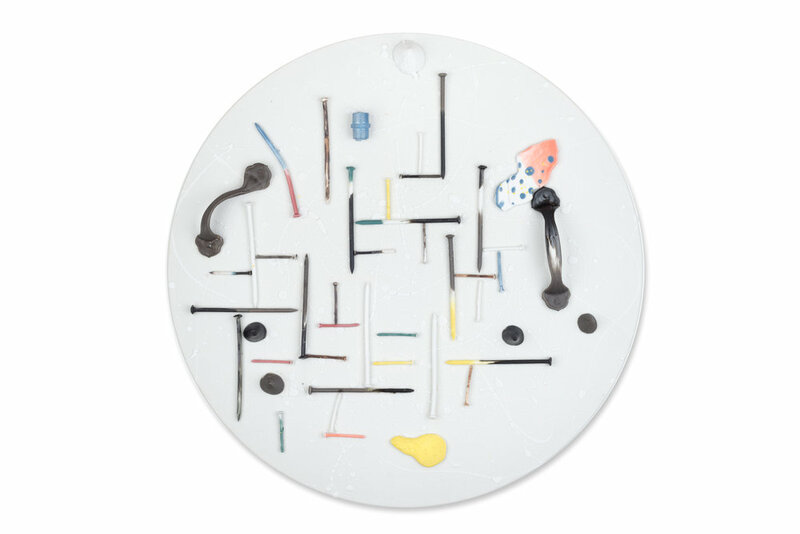 She transforms things that we usually ignore but live with such as light bulbs, water faucets, and nails into unique ceramics and paintings. These objects are intended to keep things together, but now become useless and unconnected. Yang grew up as an artist across different cultural backgrounds. Born in Xiangtan, Hunan Province, she graduated from Sichuan Fine Arts Institute and went to the United States to study at Syracuse University. She obtained her M.F.A. in Ceramics in 2014 and now teaches at the State University of New York at Oswego. From the migration of the “ant tribe,” to the global phenomenon of urban sprawl, and the continuous dismantling and reconstruction of urban landscapes under high-speed development, Yang transforms the cities of her memories into miniature universes. As Yang says: "Constantly traveling between the U.S. and China, I witness an endless feast of construction without a beginning or an end. Buildings are being disintegrated and regenerated constantly; we are always influenced by the cities we live in. We deconstruct nature, we allow those artificial mountains and rocks to become part of our life, but seem to forget what a real rock looks like." The Landscapes Deconstruct series depicts a Chinese urban scene that is constantly deconstructed and rebuilt, torn between tradition and modernization. 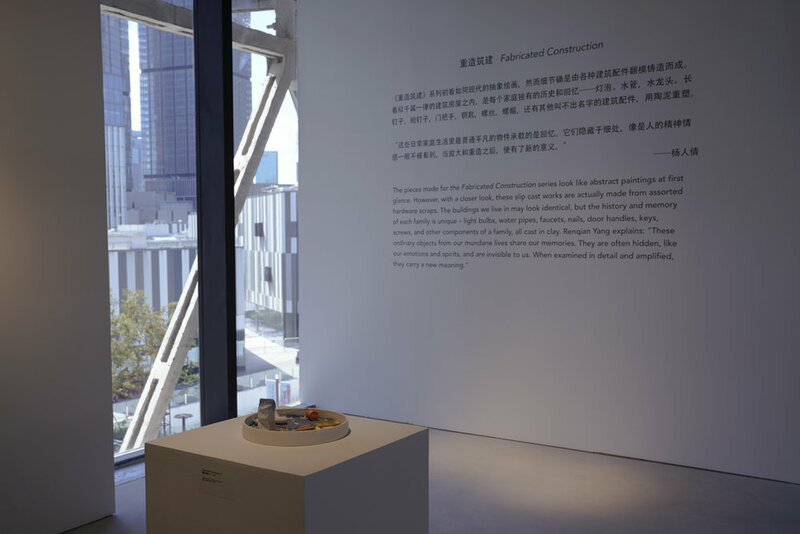 The installation features irregular ceramic blocks that represent tall buildings scattered about the city. 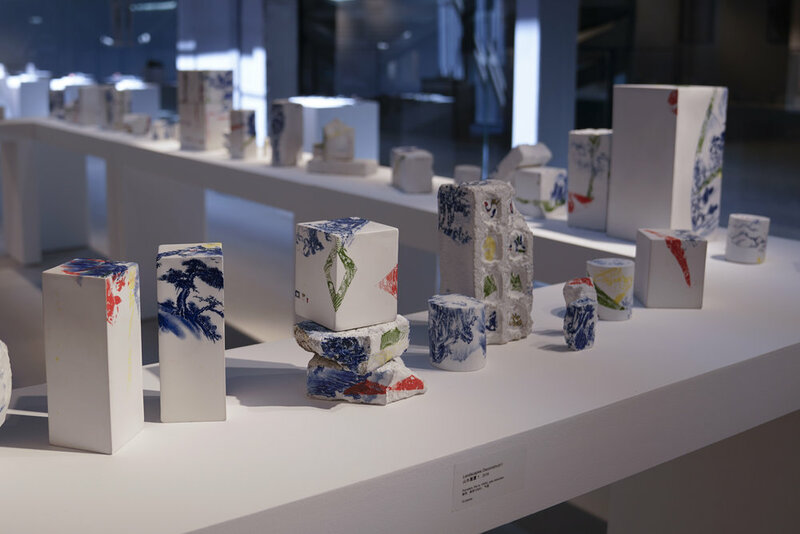 The blue-and-white landscape depicted on each piece carries the memory of traditional Chinese porcelain. As a whole, they are placed on tables like a three-dimensional map to be viewed as a classic Chinese garden. 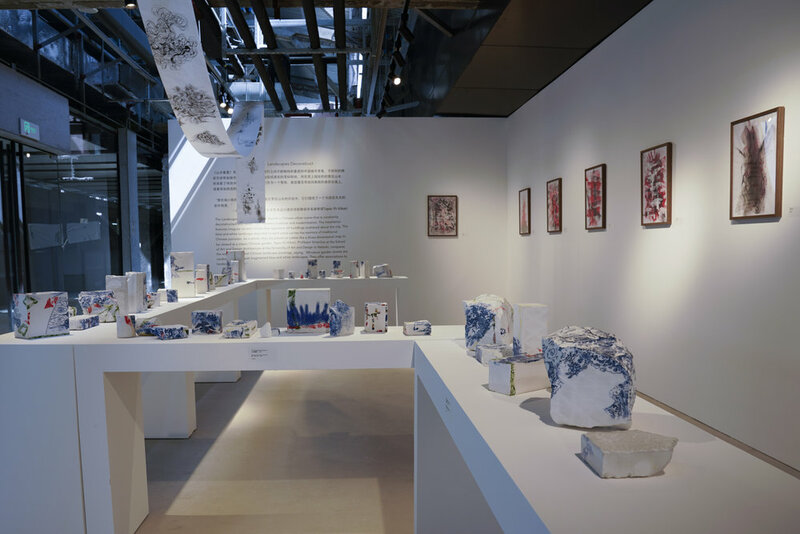 Tapio Yli-Viikari, Professor Emeritus at the School of Art and Design Architecture at the University of Art and Design in Helsinki, compares the work to traditional Chinese landscape paintings, saying, “Miniature garden stones are randomly covered with fragmented blue and white landscapes. They offer associations to landscape escapism." The pieces made for the Fabricated Construction series look like abstract paintings at first glance. However, with a closer look, these slip cast works are actually made from assorted hardware scraps. The buildings we live in may look identical, but the history and memory of each family is unique – light bulbs, water pipes, faucets, nails, door handles, keys, screws, and other components of a family, all cast in clay. Yang explains: "These ordinary objects from our mundane lives share our memories. They are often hidden, like our emotions and spirits, and are invisible to us. When examined in detail and amplified, they carry a new meaning." The exhibition also presents some of Yang's works on paper with her early reflections and diagrammatic experiments in ink brushstrokes. These seemingly abstract, asymmetric, and irregular shapes evoke mental images of urban sprawl: uncontrolled development and demolished natural landscapes. These works on paper seek a balance between man-made constraints and uncontrollable natural chaos.